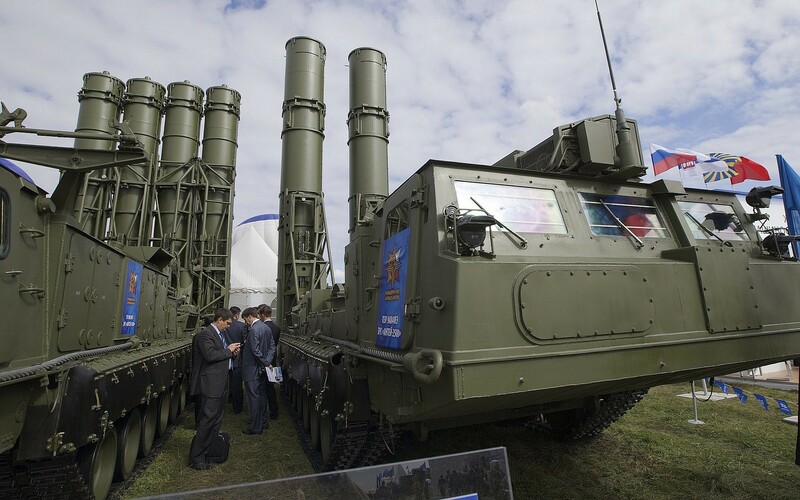 Russia said Tuesday it had completed delivering its S-300 advanced anti-aircraft system to Syria, weeks after it blamed Israel for the downing of one of its spy planes by a less-sophisticated Syrian air defense missile. Israel has warned that providing the system to Damascus is “irresponsible” and will expose the region to more danger. Russian Defense Minister Sergei Shoigu told President Vladimir Putin that 49 pieces of equipment for the system had been delivered, according to the state-run Interfax news agency. 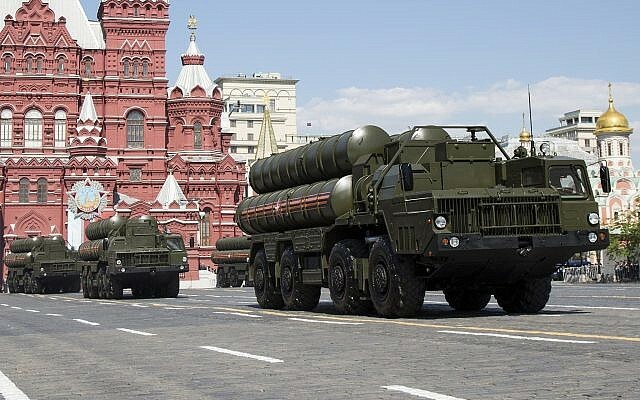 “We have completed the delivery of the S-300 system,” he said. The other equipment delivered included radars, control vehicles, and four launchers, he said. He said that the work was completed a day ago, but it would take three months to train Syrian personnel to operate the system. Shoigu also said the Russian military had significantly strengthened its electronic warfare systems in Syria. The Russian defense ministry announced last week that it would begin jamming radars of military planes striking targets in Syria from off the coast of the Mediterranean. He said the integration of Russian and Syrian air defense assets will be completed by October 20. Both Israel and the United States have protested the decision to supply Syria with the S-300, which could complicate ongoing Israeli efforts to prevent Iran deepening its military presence in Syria and to thwart the transfer of weapons in Syria to Hezbollah. Israel has vowed to continue its operations. Israel has carried out hundreds of strikes against Syrian and Iranian targets in Syria over the last several years, with fighter jets going nearly unchallenged by the country’s air defenses — though an F-16 was downed by a Syrian anti-aircraft missile in February in what the IDF later said was the result of a professional error by the pilots. Russia said it began supplying the S-300 air-defense system to Syria on Friday, despite Israeli protests. The first plane was spotted arriving at the Hmeimim Air Base near Latakia in Syria on Thursday evening, according to a Ynet report Monday. Moscow’s decision to supply the systems to Syria has caused concern in Jerusalem. A senior Israeli official said Saturday that Syria’s possession of the S-300 posed a “complex challenge” for the Jewish state, but added that Israel was working on ways to prevent the development from becoming a major threat to the country’s security. “We are dealing with the [decision] in different ways, not necessarily by preventing shipment [of the anti-aircraft system],” the official said. The official added that he believes Putin understands that while Moscow “made a move, the playing field is very large,” indicating that Israel reserved the right to protect itself and that it had the support of the United States. The system, considered on of the most advanced in the world, has a radius of some 200 kilometers, meaning a battery placed near Damascus would cover much of Israel. Prime Minister Benjamin Netanyahu on Friday criticized Russia’s move as “irresponsible,” but said Israel was committed to continued deconfliction with Moscow in its military operations in the region. 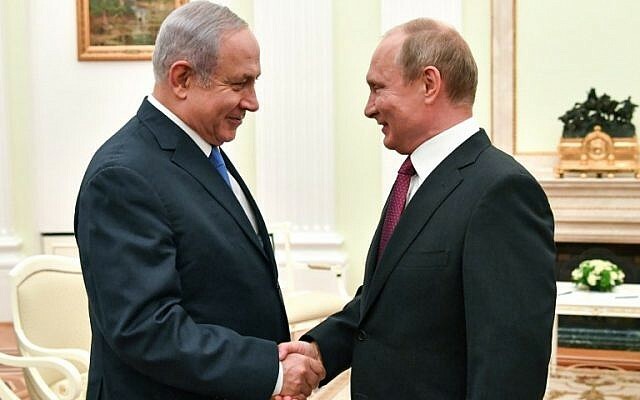 Speaking to CNN in New York after the annual UN General Assembly, Netanyahu said that he spoke to Putin earlier this month after Syrian forces responding to an Israeli airstrike mistakenly shot down a Russian military reconnaissance plane, killing all 15 people on board. He said both sides wanted to avoid a military clash in Syria, noting that the many militaries and other groups operating in the region were making it “very crowded over there in this tiny space. Jerusalem has vowed to prevent Lebanon-based Hezbollah or Iranian proxy militias in Syria from obtaining advanced weapons that could threaten the Jewish state and has worked to keep Iran from gaining a foothold in Syria that can be used to attack Israel. Russia, which is a main backer of Syrian President Bashar Assad, has maintained a deconfliction hotline with Israel, allowing the Jewish state to carry out the attacks as long as it was informed beforehand. 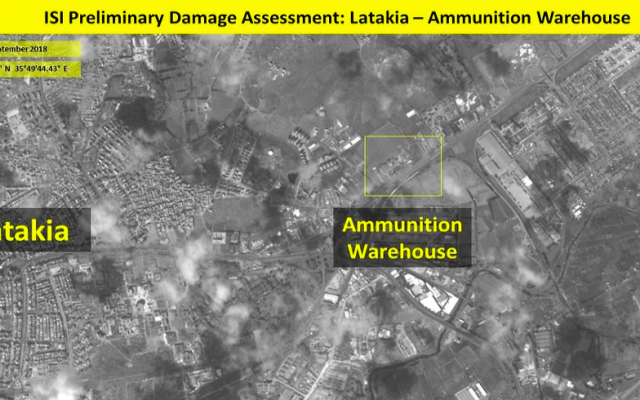 The future of that program has been uncertain since the September 17 incident, which occurred as four Israeli fighter jets conducted an airstrike on the weapons warehouse near the coastal city of Latakia, which the IDF said was intended to provide weapons to the Hezbollah terror group and other Iranian proxies. Moscow has accused Israel of using the IL-20 spy plane as a shield after the attack, rejecting Israel’s claims that poorly trained Syrian air defense operators are to blame for the deaths of 15 Russian servicemen aboard the aircraft. Israel denies this charge, and insists it also notified the Russians 12 minutes before the attack — while Moscow has said it was given only a minute’s notice. Earlier this year Defense Minister Avigdor Lieberman downplayed Israeli concerns over Russia’s purported plans to install the system in Syria.